"We are very concerned that we will see disruption in the event of a no dealm and again delays and so on and congestions. 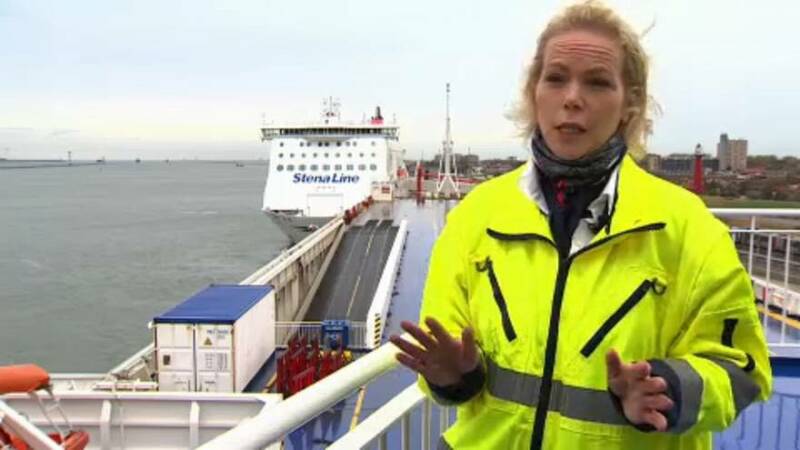 We are concerned and we need clarity," says Annika Hult, Stena Trade Director, North Sea. "The fallback would be a WTO scenario. If there is no deal reached, and what that would mean is that basically that there will be full controls and so on," Hult explains. "Very much similar to trade with other third party countries where there are no other special arrangements," she adds. "Cut flowers. You should come here just before Valentines Day, it's crazy busy and this is another example why it's so important that there is continuous free flow. Because imagine if the flowers arrive on the 15th of February. That's not very good is it, and we carry a lot of those flowers to make they are delivered on time, the bouquets for the loved ones for Valentine's Day." Valentines day - just another casualty of Brexit.